Get A Free inbound marketing campaign planning template. Inbound campaigns can be complex animals requiring lots of moving pieces. 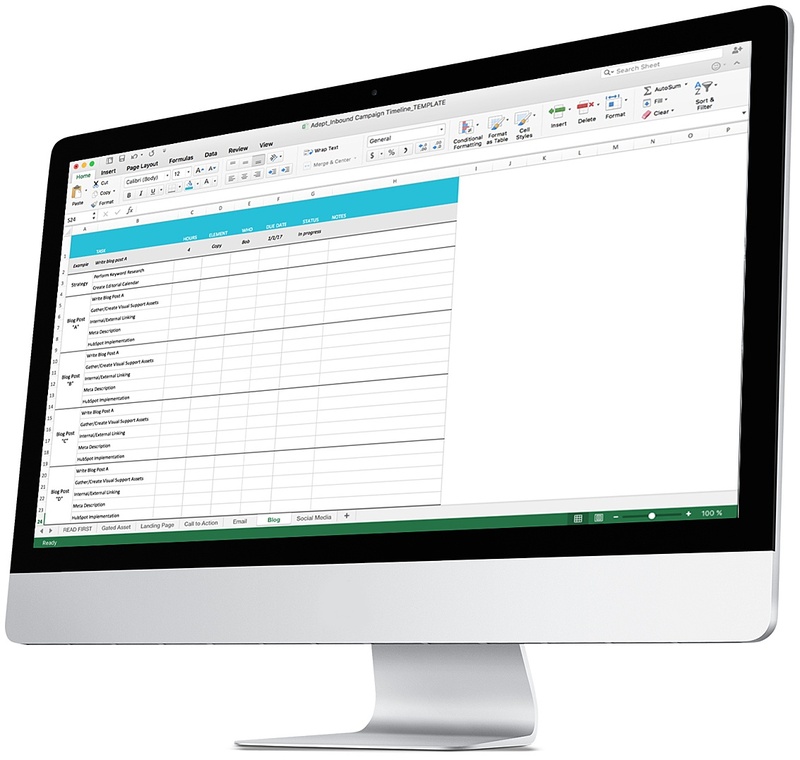 Stay organized (and on time) with this free campaign planning template. Ready to get started with inbound marketing? Unsure of where to start? Download our template to plan your resources and your editorial calendar appropriately. Adept Marketing thrives in a landscape that demands transparency and measurable results. Adept was founded Adept in 2007 with one core condition: “We’ll only do things that can be measured and we’ll hold ourselves accountable for those results.” Adept prides ourselves on being flexible, agile, and skilled at website creative and development, ecommerce, responsive design, content marketing and inbound campaigns, search engine optimization, paid per click marketing, conversion rate optimization, and analytics strategy and consulting.